DNS has evolved from a set-it and forget it solution into a mission-critical layer of your online infrastructure. The capabilities of DNS go far beyond speeds, feeds and query resolution. 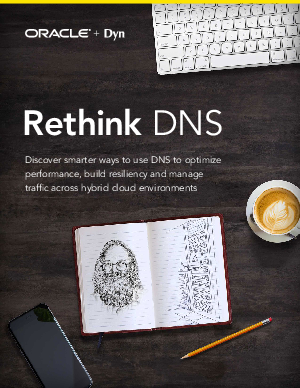 Download this “Rethink DNS” eBook and discover smarter ways to use DNS to optimize performance, build resiliency and manage traffic across hybrid cloud environments.